Human immunodeficiency virus type 1 (HIV-1) infection causes acquired immune deficiency syndrome (AIDS), which remains a major public health concern. 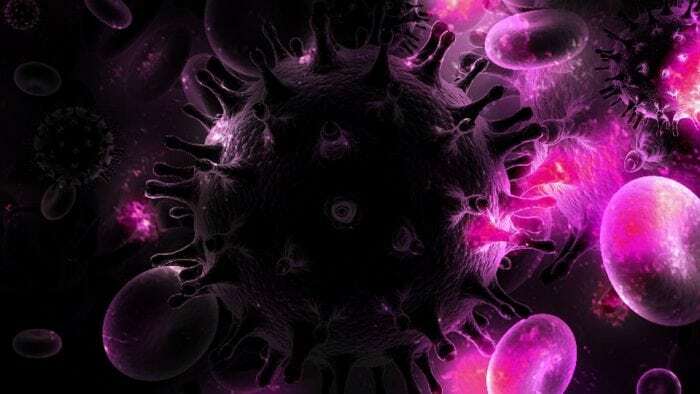 Combination antiretroviral therapy (cART), typically consisting three or more antiretroviral drugs, has been shown to efficiently block active HIV-1 replication, which leads to an improved life expectancy of HIV-infected patients. Nevertheless, HIV-1/AIDS is still an incurable disease, because cART is unable to completely eliminate HIV-1 due to the presence of HIV-1 latent reservoir being resistant to antiretroviral drugs. Activated CD4+ T cells are primary targets for HIV-1 infection and resting memory CD4+ T cells are considered to be a major HIV-1 latent reservoir. In most activated CD4+ T cells, HIV-1 infection causes a virus-induced cytopathic effect and cell apoptosis. However, some survive and revert back to their resting state, forming the HIV-1 latent reservoirs. These cells harbor replication competent, but transcriptionally silent HIV-1 proviruses, which retain the capability to produce infectious HIV-1 virions. Since cART is only able to inhibit active HIV-1 replication, it cannot eliminate HIV-1 latently infected cells. Viruses would rebound if the treatment is discontinued, and therefore patients are required to adhere to HIV-1 medicine for life. tsuyMuch effort has been currently taken in developing strategies to eliminate or permanently suppress HIV-1 latent reservoirs. One promising approach is “block and lock strategy”, aiming to “block” occasional reactivation of HIV-1 proviruses so that integrated proviruses are “locked” in a deep and permanent latency. Since none of the antiretroviral drugs in cART regimen inhibits HIV-1 transcription, there is still sporadically reactivation HIV-1 expression (“blip”) that continues the replenishment of HIV-1 latent reservoir and maintains its persistence. For the “block and lock” strategy, latency-promoting agents (LPAs) will be complemented with cART regimen to suppress resurrected viral transcription. Such combination treatment will facilitate the decay of HIV-1 latent reservoir and significantly reduce its size, which would eventually lead to the elimination of HIV-1 latent reservoir and a functional cure of HIV-1. However, only a few LPAs have been identified so far, and their safety and long-term effect in vivo still needs further investigation. Therefore, expansion of new potential LPAs will benefit further exploration of “block and lock” strategy. To identify novel HIV-1 LPA candidates, we screened an FDA-approved compound library, composed of 978 unique small-molecule compounds using HIV-1 latently infected cell line. A novel and promising anti-HIV-1 transcription inhibitor, levosimendan, was identified from these screens. Levosimendan is a calcium-sensitizing positive inotropic drug and currently used to treat acutely decompensated heart failure in clinics. Our results demonstrated that this compound strongly inhibits TNFα-induced HIV-1 transcription and reactivation in multiple HIV-1 latency cell lines through affecting the HIV-1 Tat-LTR transcriptional axis. Importantly, we showed that levosimendan blocks HIV-1 reactivation in CD4+ T cells isolated from cART-treated, HIV-infected aviremic patients without cytotoxicity. Levosimendan could be immediately moved to in vivo studies to evaluate whether this compound can be used as LPA since it is an FDA-approved compound. These findings are described in the article entitled Screening of an FDA-Approved Compound Library Identifies Levosimendan as A Novel anti-HIV-1 Agent that Inhibits Viral Transcription, recently published in the journal Antiviral Research. This work was conducted by Tsuyoshi Hayashi, Maxime Jean, Huachao Huang, Sydney Simpson, Netty G Santoso, and Jian Zhu from the University of Rochester Medical Center. Tsuyoshi Hayashi is a researcher at the University of Rochester Medical Center. He specializes in molecular virology, specifically the HIV virus and influenza.